Last week, the Fantasy Sports Trade Association (FSTA) formed a new Fantasy Sports Control Agency (FSCA) and appointed the former Acting U.S. Secretary of Labor Seth D. Harris as the new chairman of the independent agency in wake of the call by other government officials that the industry needs to be regulated to prevent illegal activities and corruption in multi-billion dollar market. The Sports Tech blog was able to chat briefly with Harris about his new role, the agency’s system of self-regulation and the fast-growing space itself enhanced by the advancement of technology. Currently, the FSTA has around 300 members providing services for 50 million fans across Americans. 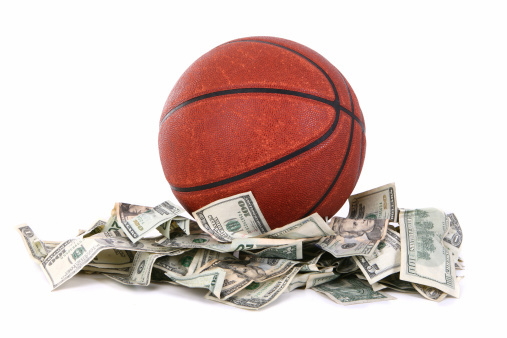 The question regarding fantasy sports business is simple, will the new monitoring and enforcement program by the FSCA and instituted by Harris have enough cooperation by constituents for key government regulators to stay out of the $40 to $70 billion business. This is a sports tech question many want to know the answer to because fantasy sports needs to stay clear from being a form of betting and gambling and continue as a game of chance and luck if the status quo that exists is to stay. The FSTA has represented the industry since 1998 and felt the time was ripe to enact the FSCA in order to impose a self-regulated system that is strict, transparent and highly effective in order to create improved ethic, procedures and accounting best practices by the large, medium and small sized businesses that make up fantasy sports. Daily fantasy sports corporations such as FanDuel and DraftKings had allowed employees to play in NFL, NBA, MLB, NHL, PGA and other sports games such as NASCAR, UFC, soccer, football, and now eSports as long as they were not playing at the company they worked for. The NY Times conducted an investigation into the rules fantasy sports company maintain and uncovered the possibility that insider information was being used by a DraftKings employee in order to help him win a big cash award, an allegation that has since been disputed by a separate independent investigation ordered by DraftKings themselves. Do you believe them and is this self-governance enough for the U.S. government to continue to allow this industry to operate unregulated? There are no hard and fast US laws in place that says these companies are to join and then adhere to the will of the FSCA however it is probably in their best interest to abide by their new agenda because without it, the government will undoubtedly step and regulate the industry as was done with online poker several years ago. Secretary Harris told me FSTA Board representatives are, “talking with people in the industry.” There have been initial meetings with professional fantasy sports leagues as well as discussions with important industry stakeholders as to proper steps needing towards acceptance of the system. The plan calls for a major accounting firm to monitor and audit the initiative ensuring accurate and legal representation of money collected, paid out and invested by each company that joins as a member of the FSTA. Secretary Harris served as the Deputy U.S. Secretary of Labor from 2009-2014. His next position was Acting U.S. Secretary of Labor and a member of President Barack Obama’s Cabinet. Before this career, he worked a professor of law at New York Law School, was the director of its Labor and Employment Law programs, and acted as a visiting professor of law at Seton Hall Law School. His educational background includes earning a Bachelor of Sciences degree from the School of Industrial and Labor Relations at Cornell University where his most recent role consisted of teaching courses as a Distinguished Scholar and also conducting scholarly research. 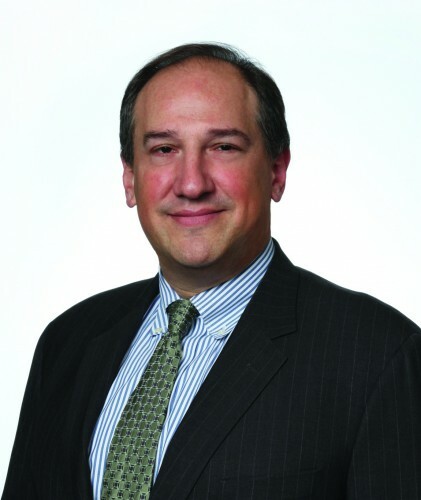 In addition, Harris is a member of the Public Policy and Regulation practice at Dentons US LLP. The Fantasy Sports Trade Association (FSTA.org) was founded in 1998 and serves as the international organization created to the advancement of fantasy sports and in support of the hundreds of businesses and millions of fans that are engaged in fantasy sports. This organization has been at the forefront of legal issues that have existed between fantasy sports companies and professional leagues and players associations as well as dealing with numerous government related issues since its inception. The rotating 18-member Board of Directors is comprised of industry veterans, pioneers, and experts. With more than 300 member companies involved in the FSTA, current members include some of the world’s largest sports content/information and service companies as well as smaller companies that benefit from the extensive reach of the FSTA. Fantasy Sports Trade Association Forms FSCA Led By Former U.S. Secretary Of Labor – Sports Techie blog. I did find it odd however that when I asked if he had every played fantasy sports he said, “no however he is a basketball fan and has received countless offers via email, Facebook and LinkedIn to join peers in games.” This fact triggered a thought as to the history of the video game industry and programmers. In the past, EA Sports and other gaming companies hired terrific people with excellent programming skills but most did not know the ins and outs of the sports they programmed games for very well. The industry did a flip a while back and now hires the best programmers that also have a passion for the games they work on. That said, Harris best accept his peers invitations and also get a crash course on how fantasy sports works if he wants to as effective as possible in his new role for the FSCA and its membership. I do understand his philosophy that by not being a fantasy sports player, it allows him to be impartial as an independent; Seth indeed has no financial stake in the industry as do media like Fox Sports and leagues such as the NBA and MLB that are partial equity owners of FanDuel and DraftKings. His faith in place to advance the agenda of control is certainly needed in fantasy sports, as is his want to get the principles motivated and to recognize that the industry has grown up with tens of millions of players here in the US and Canada. Harris feels the league has to do a better job of communicating to players. This will help avoid lawsuits like Washington wide receiver Pierre Garcon brought on behalf of the players against FanDuel last week because of the use of their likeness in commercials. The NFLPA has a contract in place with DraftKings. FanDuel recently limited Sunday night entries to 500 entries per game schedule at $10 and below for the NFL and 250 entries for entries $10 and below for other sports in a self-regulating attempt to even the playing field for participants. I asked him if he is in contact with Dallas Cowboys owner Jerry Jones or New England Patriots owner Robert Kraft because they are stakeholders in the business of fantasy sports, he told he has not called them yet. Unquestionably their goal of transparency, better outreach to stakeholders and helping the teams have improved access to the leagues and principle players are indeed honorable goals. Harris has no boss in this role for the FSCA. He represents an independent control board and trade association. Having 6 years’ worth of regulations experience gives Harris confidence that he can help merge politics and government with fantasy sports. I asked about fantasy sports on an international level and how he plans to deal with this global issue. His background with international relations, his career with the labor department as a representative and experiences with complex labor related issues are assets Harris could bring to the table with international constituents. The bottom line is this, the FSCA goals are to prevent and preempt unethical and illegal behavior, acting with an eye towards prevention not punishment while laying the foundations for industry wide standards that allow companies to adapt to controls and standards, audit the companies and enforce the rules, ideals I am all for. By working closely with the business of fantasy sports, the FSCA and Harris are promising to mature the industry for future players.